Under the traditional business model, resellers have bought books from publishers at discount prices, and then marked them up to make a profit through sales. But Apple's approach would have the publishers set the prices paid by consumers —something Random House executives are concerned could lead to considerably lower prices, and thus lower profits. The holdout from Random House exists after five of its biggest competitors —HarperCollins, Hachette, Penguin, Macmillan and Simon & Shuster —were all announced as iBookstore partners at Apple's official unveiling of the iPad. 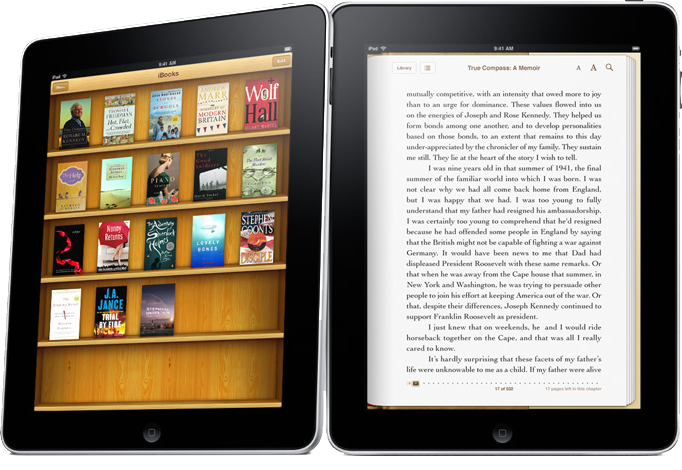 Books will be sold through the iBooks application, which will be available for download at launch through the App Store. But reluctance from Random House is not the first example of publishers showing skepticism over Apple's new business model for the print world. Last month, the Times also reported that talks "stumbled" with some newspapers who are uncomfortable with Apple's revenue sharing plan and unwillingness to share consumer information —data that is a valuable asset for traditional print publishers.